Malwarebytes is an internet security software that offers protection against malware, threats, and infected sites. It includes a scan scheduler that conducts a comprehensive scan of a user’s computer, even when it’s not in use. In this article, we cover user reviews and pricing. Ready to try Malwarebytes? Download for free. Users who gave Malwarebytes a positive review said that the software’s ability to prevent, protect, and provide a remedy for infected systems is unmatched. 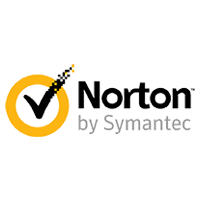 Others like how it is easy to set up and install and that it offers a user-friendly interface. As of the date, this article was written (11/14/18), there are not a lot of Malwarebytes negative reviews online. However, some users suggested that one’s computer activity should be minimized when conducting a scan. One user who gave Malwarebytes a negative rating on G2 Crowd said that the product is slow and unstable as it consumes too much memory and CPU resources. Malwarebytes offers two products: Personal and Business. Personal has a free plan and several paid plans with prices ranging from $39.99/year (for one device) to $229.99/year (for 20 devices). For Business, Malwarebytes has three paid options: Malwarebytes Endpoint Security ($289.95+/year), Malwarebytes Endpoint Protection (custom priced), and Malwarebytes Endpoint Protection & Response (custom priced). Personal is best for individual users and small teams, while Business caters to office networks who have 99 employees and above. Ready to try Malwarebytes? Download for free. What kinds of devices does Malwarebytes support? Malwarebytes supports the following devices: Windows, Android, and Mac. What kinds of support does Malwarebytes offer? 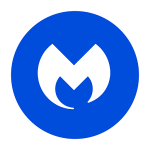 Malwarebytes currently offers phone support, online ticket support system, and training videos. Not sure if Malwarebytes is the right fit for you? Read our reviews of all top internet security software providers or check out one of these three Malwarebytes competitors.